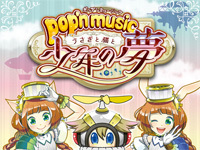 Konami celebrates popâ€™n musicâ€™s 18th anniversary with a big news for the fans: a new pop'n music game is coming. Itâ€™s titled Usagi to Neko to Shounen no Yume (The rabbit, the cat, and the boyâ€™s dream). New characters and songs are announced and a new type of note (rumoured to be hold note)! 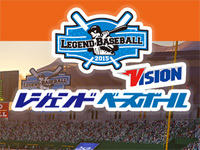 A location test is held at the Game Skilhat Dice (Kawasaki) until October 2nd. The arcade version of Square Enix's popular musical game is out today. Theatrhythm Final Fantasy All-Star Carnival (Shiatorizumu Final Fantasy) is an adaptation of the rhythm games using Final Fantasy musics released on 3DS. As in the console version, the player must perform actions with the controllers in rhythm with the notes scrolling on the screen. The cabinet features 2 buttons and 2 trackballs. The buttons are used for the red notes, the trackballs for yellow notes and both at the same time for the green notes. 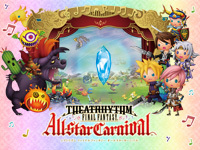 Theatrhythm Final Fantasy All-Star Carnival is played with both hands. 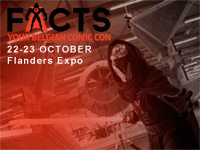 Nobuo Uematsu, composer of the music of the Final Fantasy series and Masayoshi Soken, sound director of FFXIV participated in the development of the game. 82 songs from all the Final Fantasy games are already available and 60 characters which some will be regularly added are announced. A new song and a new character were created specifically for the game. 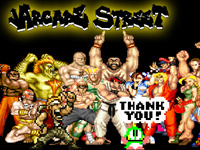 A local co-op mode and an online mode are available. Theatrhythm Final Fantasy All-Star Carnival uses the NESiCA network and cards. For the game release, special NESiCA cards and stickers are available in limited quantity. A release in American Round1 seems already planned. You can see the game trailer here. Sega launches a new version of its musical game CHUNITHM today. 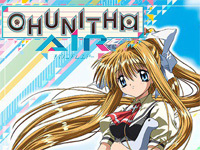 It's named CHUNITHM AIR and its starts a collaboration with Key's visual novel AIR. 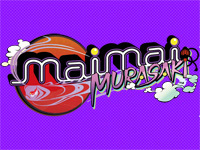 This new version introduces new songs in Anime & POP, Touhou Project, Variety and Original categories. There are also new characters and new features: nameplates and limit exceeded. This upgrade also brings changes in the player data (level, titles, map will not be saved). Former WORLD'S END songs will no longer be playable but new songs will replace them. 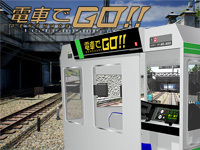 To celebrate the 20th anniversary of Taito's train simulator series, a new Densha de Go! arcade game will be released in Spring 2017. 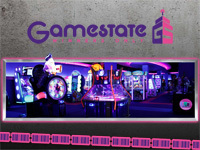 Taito will present a real immersive game with a cabinet recreating the cab of a real train with authentic controls, three wide screens for the scenery and a touchscreen panel showing the various indicators of the control stand. Square Enix will supervise the visual works to ensure overwhelming quality graphics, the game engine features various weather conditions and different seasons. Furthermore, the game will feature realistic major railways such as the Yamanote Line. The mission system will offer the full experience of a train operator's day including taking care of passengers and time management. Famous railway-lines of Japan will be added from time to time through updates. Renketsu! Densha de GO! !, the smartphone puzzle game that will be released this Winter on Android and iOS will interact with the arcade game. Collaborations with nanoGauge, Jorudan Co. and Railfan magazine are planned. Mobile Suit Gundam U.C. Card Builder 2nd awakening is the first update of the card game that is out in Japan today. The cabinet design has been renewed in green and 117 new cards appeared (76 mechas and 41 characters). 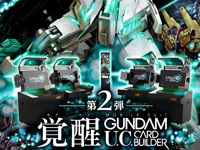 Some cards come from totally new series: Mobile Suit Gundam 0080: War in the Pocket, Mobile Suit Gundam Side Story: At the Site of the Fallen Colony, UC-MSV (Gundam Unicorn Mobile Suit Variations), MSV-R: The Return of Johnny Ridden and Mobile Suit Gundam: Char's Counterattack. But there are also new cards from series already represented on the previous cards: Mobile Suit Gundam, Mobile Suit Zeta Gundam, Mobile Suit Gundam ZZ, Mobile Suit Gundam UC, Mobile Suit Gundam Side Story: The Blue Destiny, Mobile Suit Gundam: The 08th MS Team, MOBILE SUIT GUNDAM Gillen and Mobile Suit Gundam MS IGLOO. Three new maps have also been added: Palau, shuttle launch site and Earth satellite orbit. Two new navigators and new functions semi-automatic operation and auto-pilot function are now available to help the players.